To elevate and promote the cabaret art form by presenting the finest in professional cabaret performances and developing the next generation of cabaret artists. 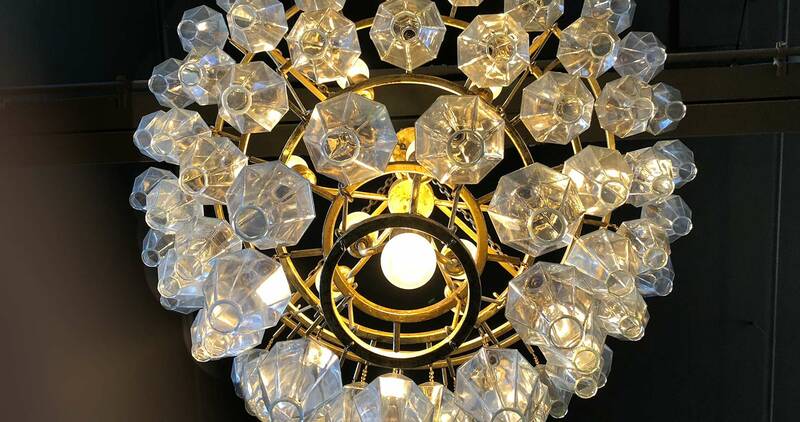 To solidify The Cabaret’s significance in the national cabaret scene. Thank you for visiting The Cabaret. Whether you’ve been attending performances for years, or are preparing to come to your first show, we’re so grateful for the opportunity to host you in our stunning new venue. When we started this adventure almost a decade ago, we could never have imagined then that we would be here in our very own glorious venue today. 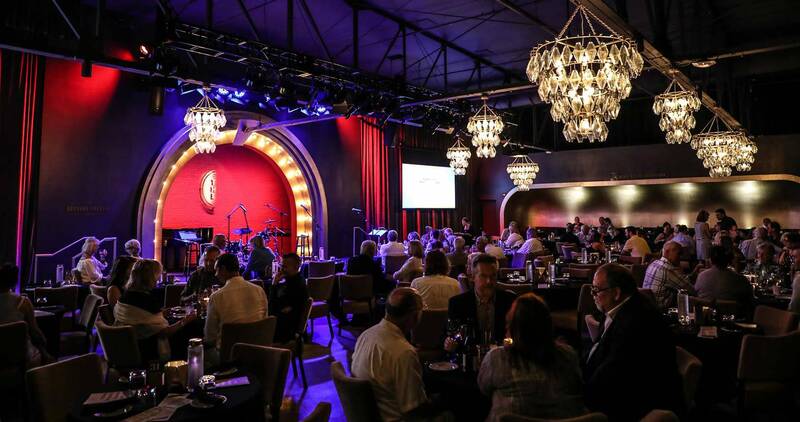 We have the great honor of bringing you world-class artists in a cabaret venue that rivals, if not, dare I say surpasses some of the best cabaret rooms in the country. We are so proud that The Cabaret has recently been noted by regional media outlets for creating a new mecca for cabaret in the Midwest. As downtown Indianapolis continues to grow, we are also thrilled to be a part of an emerging new cultural district — Library Square — alongside our neighbors the Arts Council of Indianapolis, Phoenix Theatre, and of course, Central Library. 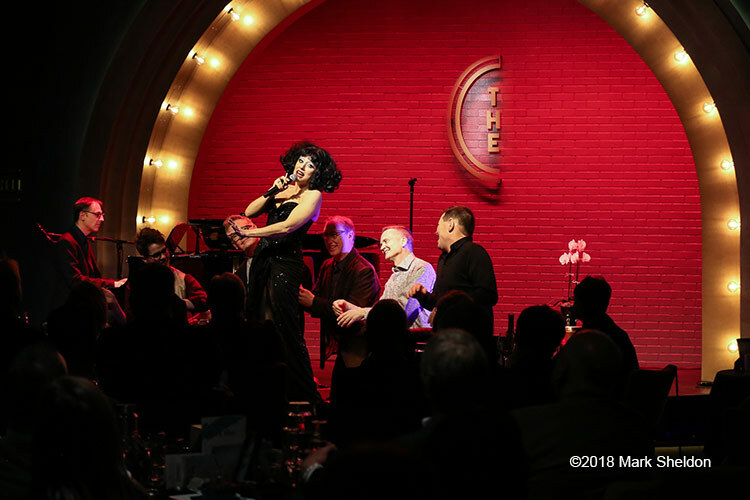 We pledge to continue to work diligently to bring the best of the best in national and international cabaret artists to our stage, and to ensure that cabaret art form continues to thrive in Indianapolis. You got us here, lovers of cabaret. Cheers to new beginnings, to you, and t­­­o years of magical performances in a glorious setting. According to the Merriam-Webster Dictionary, the term cabaret (derived from the French) originally meant “a shop selling wine.” Wikipedia describes cabaret as a form of entertainment featuring comedy, song, dance, and theatre, distinguished mainly by the performance venue — a restaurant or nightclub with a stage for performances and the audience sitting at tables (often dining or drinking) watching the performance. The cabaret has its roots in the late 1800s in Europe with the opening of Le Chat Noir, in the Montmartre district in Paris. It was an informal setting where poets, artists and composers could share ideas and works of art. Performers tested new material and ideas with a very diverse audience who attended the cabaret for the price of a few drinks. As the cabaret movement caught on, theaters sprang up throughout Europe during the early 1900s showcasing a variety of performance types and performers. By their very nature, cabarets represented safe and inviting venues for the general population including artists, lower and middle class citizens, and the aristocracy. Cabarets provided new and sometimes experimental forms of artistic expression such as comedy, nouvelle burlesque and even politcal satire. 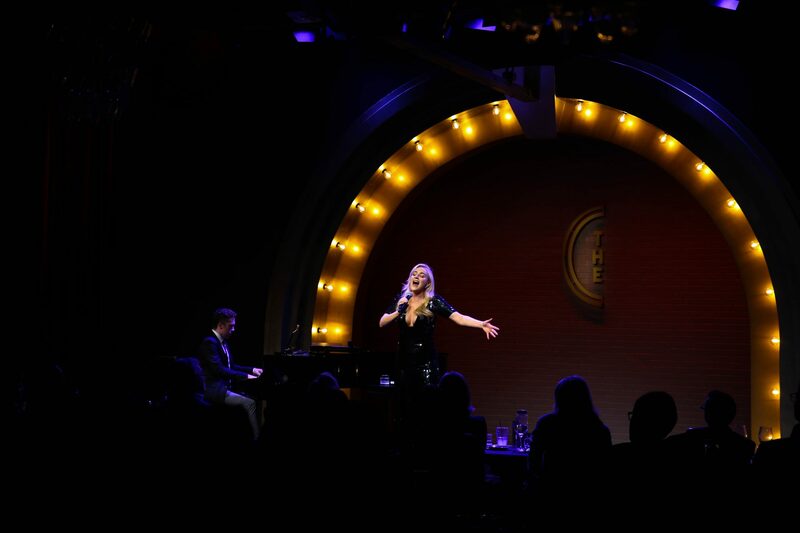 Esteemed cabaret artist, Andrea Marcovicci, defines cabaret as “an intensely personal evening of song and stories, delivered in a simple, honest way in an intimate space that shatters the fourth wall. The audience participates in a direct, emotional conversation with the artist and leaves feeling contacted and personally touched.” There is no character to hide behind, no sets, and, more often than not, no props. Cabaret is simply the performer, and a piano (sometimes a combo), and the audience, often in a venue small enough to feel like someone’s living room. It’s a chance for an audience to get to know the performer in a way that makes them feel as if they just made a new friend. The cultural audience needs more than the big-budget, spectacular, one-way entertainment experiences of the modern day. We’ve not forgotten the yearning for connection and meaning through performance and art. A cabaret performer bridges theatre and individual vocal performance; interpreting their material and inviting the audience into an intentional experience. Cabaret venues thrive in major metropolitan cities, such as New York City, San Francisco. The Midwest was lacking a major cabaret presence. 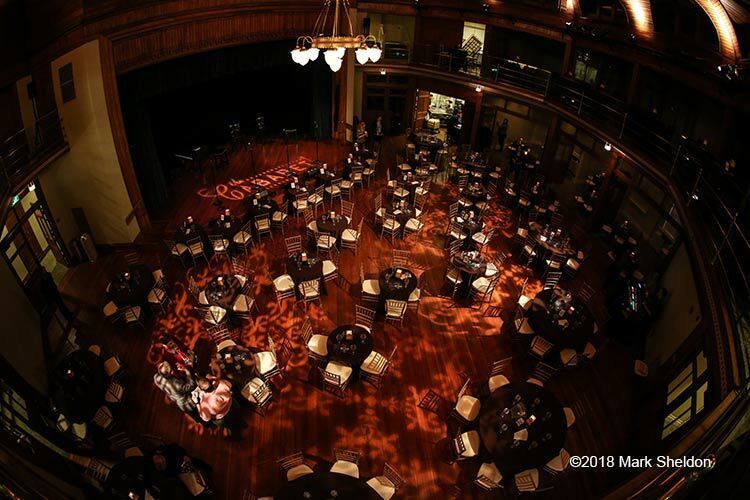 A successful cabaret venue contributes to Indianapolis achieving its vision of being a world-class city, and fills what was once an unmet niche in the local performing arts community. 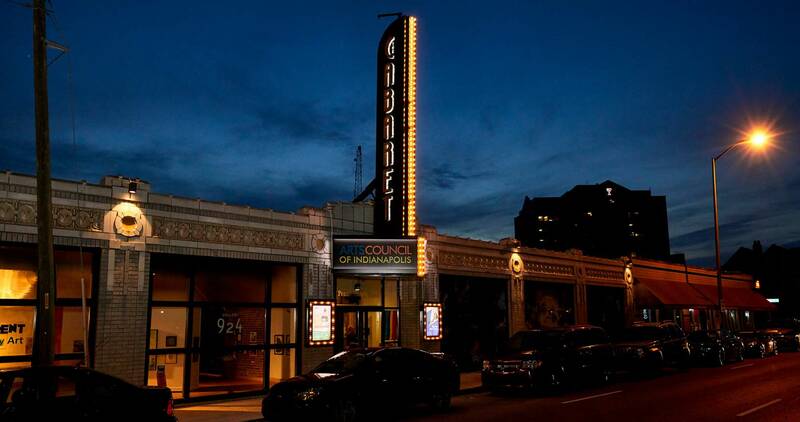 The Cabaret provides a unique niche in the arts community, as it is the only Indianapolis arts organization dedicated to the art of cabaret performance. A successful cabaret venue helps to raise the arts profile in Indianapolis to the level of other world- class cities. Providing both artistic and educational programs for the Indianapolis community, The Cabaret’s programs result in an average of 40+ performances, with 9,000+ patrons, and hundreds of youth and aspiring artists served annually. 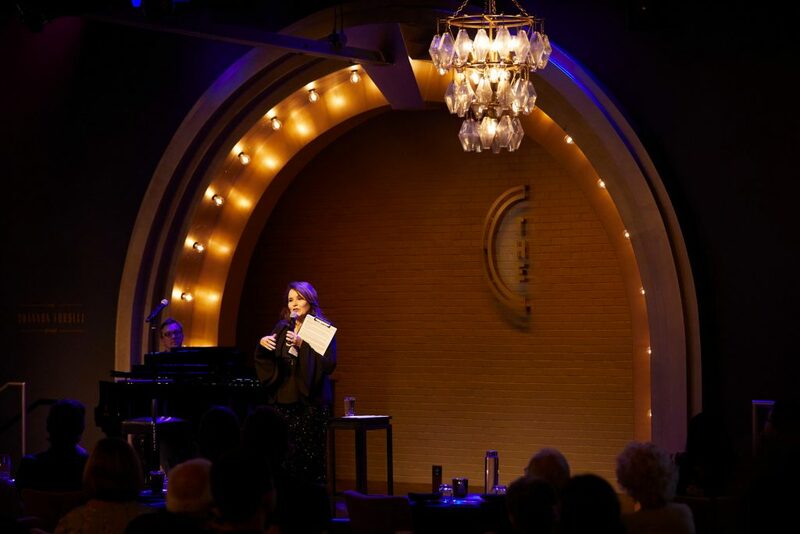 International Cabaret Diva, Meow Meow, christens the stage in the brand new Christel DeHaan Theatre at The Cabaret. New venue in the historic Metzger Building on 9th and Pennsylvania is announced, work begins to remodel the former roller-skating rink. 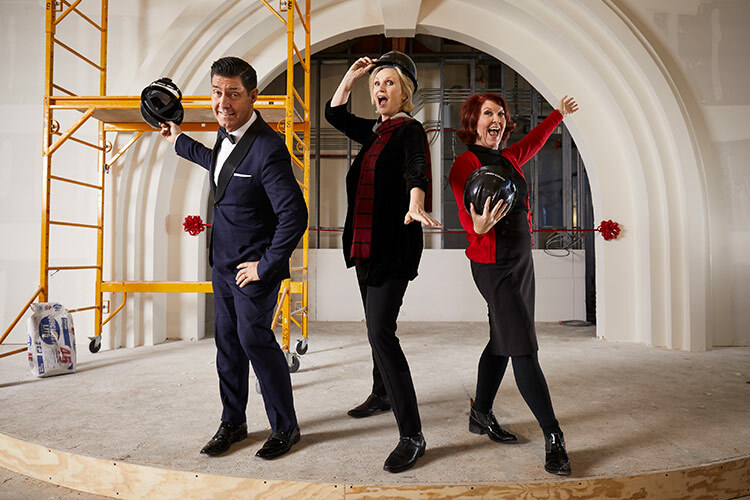 The Cabaret begins an interim year at Indiana Landmarks Center while the new venue is being developed.